Call 0141 556 7412 today to create the perfect you! 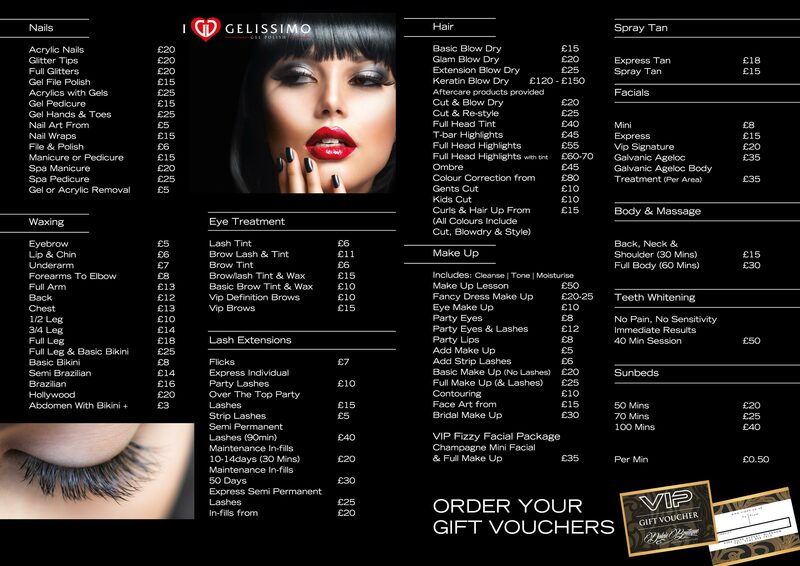 VIP HAIR DRESSING Hair Dressing from exceptional Hair stylists. Hair style’s based on the latest celeb and catwalk fashion. Styles that make you look and feel great. Based in the heart of Glasgow’s East End, our experienced stylists don’t just cut hair, they study, talk and practice it. This isn’t just a job it is their passion. VIP BEAUTY TREATMENTS We only use the best products, like Austrailian Gold, Gelissimo, Vita Liberata, Juvederm, L’Oréal, Wella & MAC Cosmetics. We choose these products because our staff believe in their quality and we believe our customers should have VIP treatment. 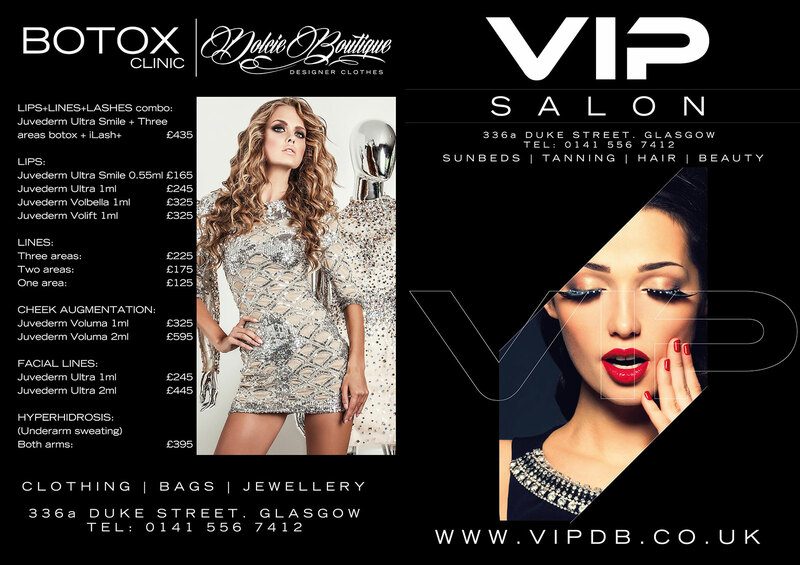 VIP ATMOSPHERE Our salon is a relaxed and vibrant place that matches and represents our approach to hairdressing. Openness, friendliness, and self-improvement have come together to create a friendly and fun environment to relax in. We appreciate cancellations cannot always be helped, we would be grateful if you could endeavour to give 24 hours notice of any hair/beauty appointment cancellations.